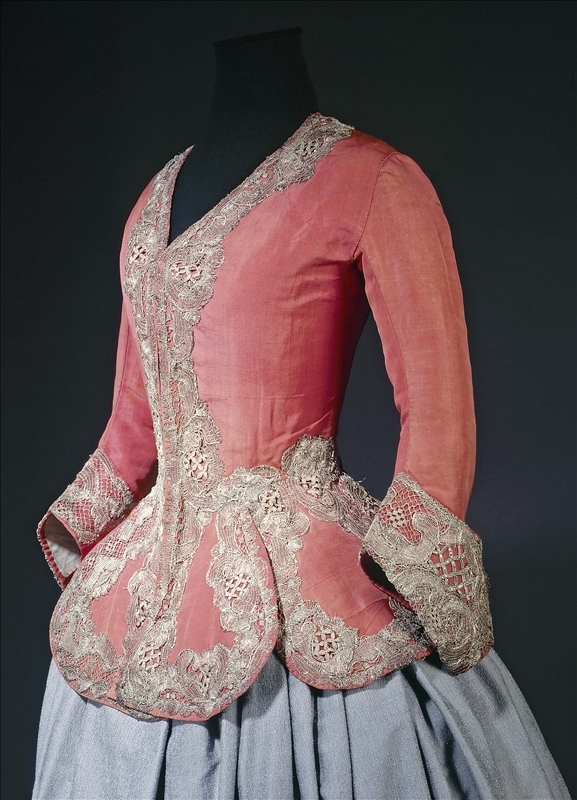 Gros de Tours, orange silk, blue glazed linen lining, gilded silver lace. 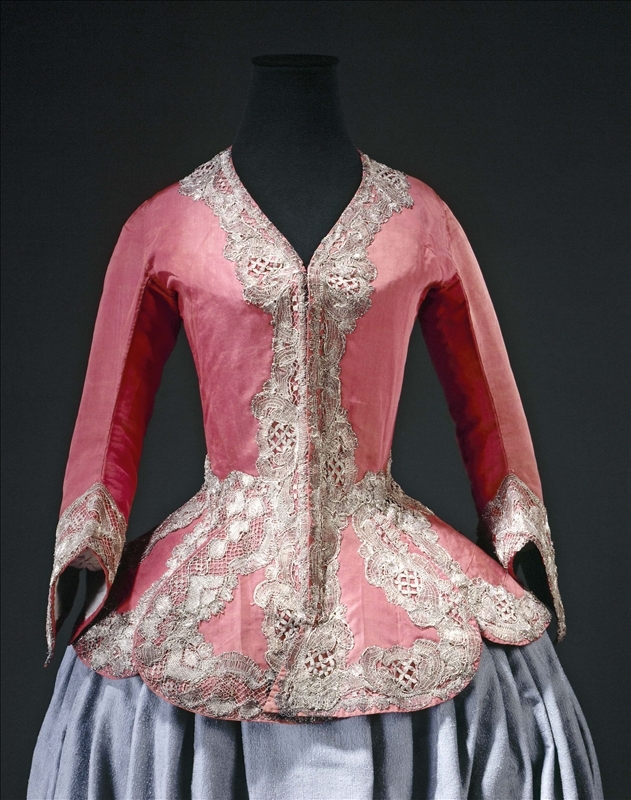 Called a casaquin in French, this type of close-fitting coat with long basques often appears in female portraits containing references to the hunt; however, its elaborate ornamentation suggests rather the festivities of the return from the hunt or semi-ceremonial events like meals or walks in distinguished company. This example has a known provenance: the illustrious house of Ligne, owners of the Château de Beloeil in today's Belgium and formerly princes of the Holy Roman Empire. This noble house is one of Europe's oldest and most prestigious, its titles including Knight of the Golden Fleece and Prince of Ligne and the Holy Roman Empire. This casaquin may have belonged to Elisabeth Alexandrine de Salm, mother of Charles-Joseph de Ligne (1735–1814), who died in 1739 at the age of thirty-seven. In his memoirs Charles-Joseph, a military man and courtier known throughout Europe, stresses the importance of hunting at Beloeil, stalking and wolf-hunting; as a child he received four sous from his father for each item of small game he brought back to the house.